In the Gigglebug game children are given points for mimicking the characters’ expressions. The Finnish company Gigglebug Entertainment has developed a mobile game for children that is controlled using facial expressions. 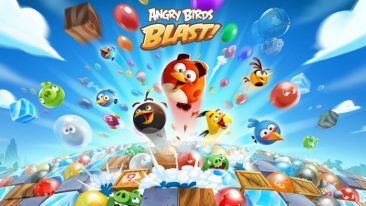 The game was launched simultaneously in Finland, Sweden, Denmark and Norway. Gigglebug’s Face Race game uses the mobile device’s camera and a facial detection algorithm. The algorithm determines from the camera’s picture, based on, among other things, the position of the player’s eyes, cheeks and head, how well the player has succeeded in matching their expression to the character’s. The game is available in Finnish, Swedish and English. “We want to introduce to mobile devices games that suit children’s lives and their world. Kids enjoy studying their faces and making expressions in front of the mirror or with their friends,” says Anttu Harlin, Gigglebug’s CEO. The game is part of the Gigglebug product family. The Gigglebug game’s iOS version has been downloaded 37 000 times in Finland. The product family also includes a TV series, which is being produced for Finnish YLE and the SRF Switzerland channel to be released in spring 2016.